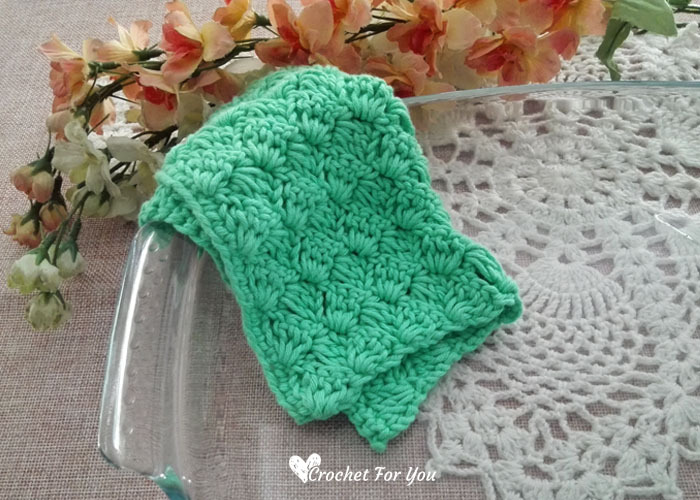 Crochet Tulip Stitch Dishcloth Pattern by Crochet For You. Happy Thursday! 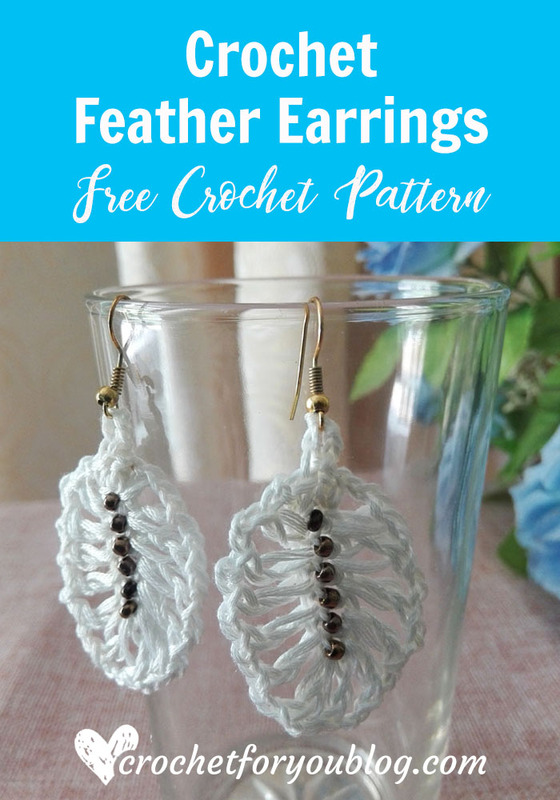 I have another pattern series for this month. 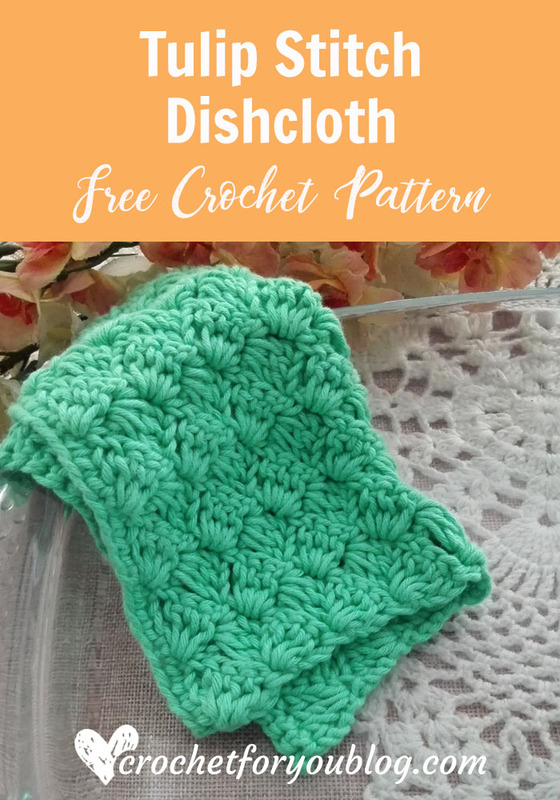 Every Thursday of this month including today, I share free crochet dishcloth patterns. 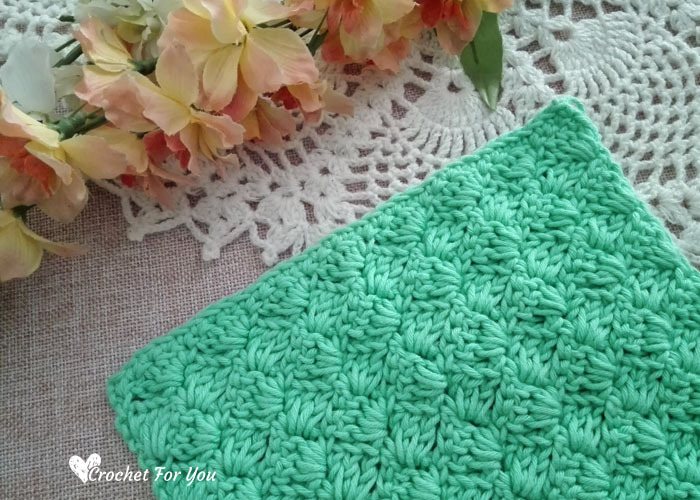 When choosing crochet stitch for dishcloths, I myself have 2 conditions. 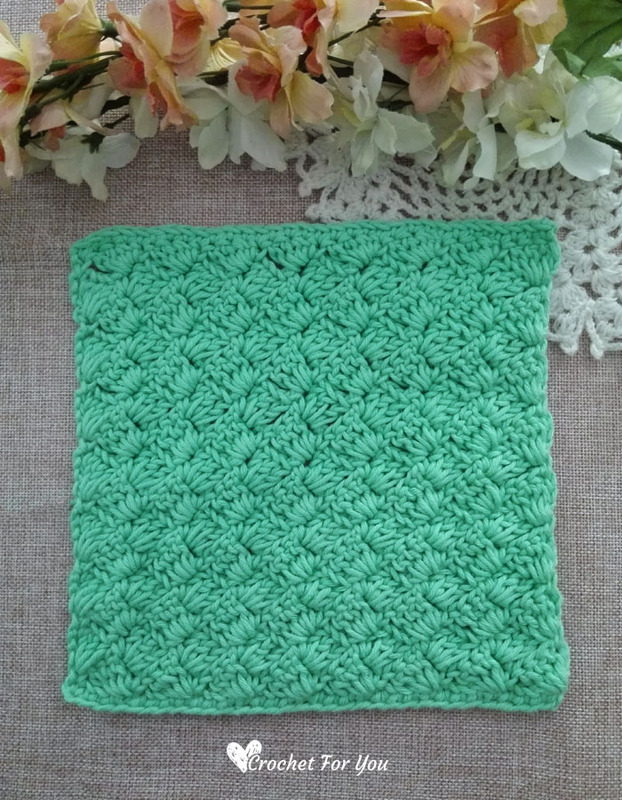 For today’s dishcloth pattern I used the crochet tulip stitch. 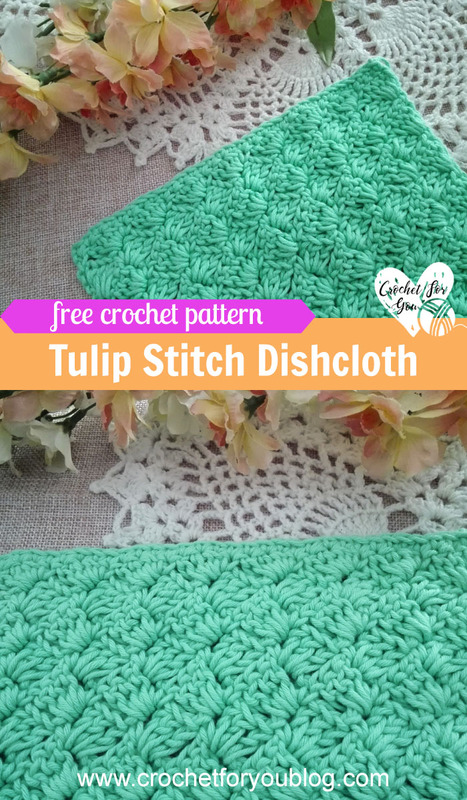 Crochet tulip stitch has the same texture on both sides and no holes. 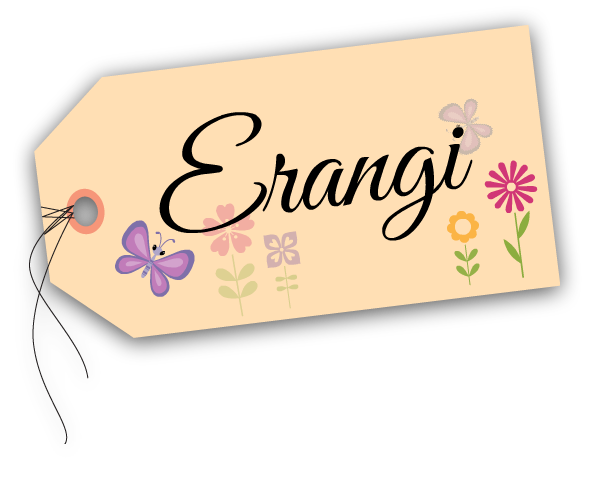 Before we start if you want to see last month’s flower series click here for the first flower pattern and see the other text links on the post goes to each flower patterns. Row 2: ch 3, 3 dc in first st, *sk 3 sts, sc in next st, ch 3, 3 dc in same st; repeat * to end, turn. Row 3: ch 3, 3 dc in first st, *sk 3 dc in the previous row, sc in next ch-3 sp, ch 3, 3 dc in same sp; repeat * to end, turn. Row 4-15: repeat row 3. Row 16: ch 3, 3 dc in first st, *sk 3 dc in the previous row, (1 sc, 1 hdc, 2 dc) in next ch-3 sp; repeat * to end, turn. Row 17: ch 1, sc in each st across. 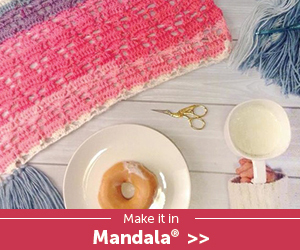 Fasten off and weave the ends. P.S. 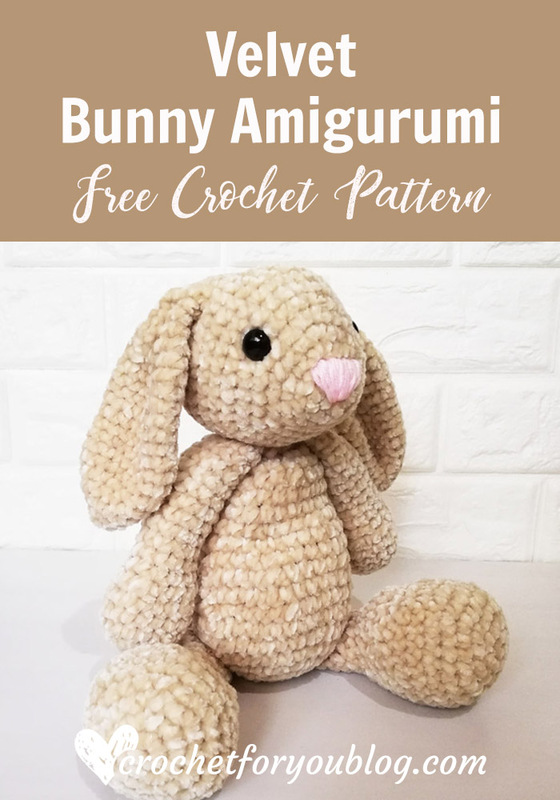 can you name crochet stitches that have same texture on both sides but no holes? 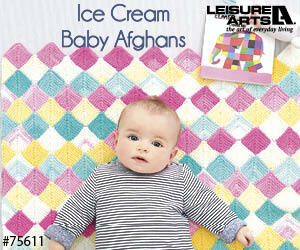 Contents include photography and patterns are copyrighted Crochet For You by Erangi Udeshika. 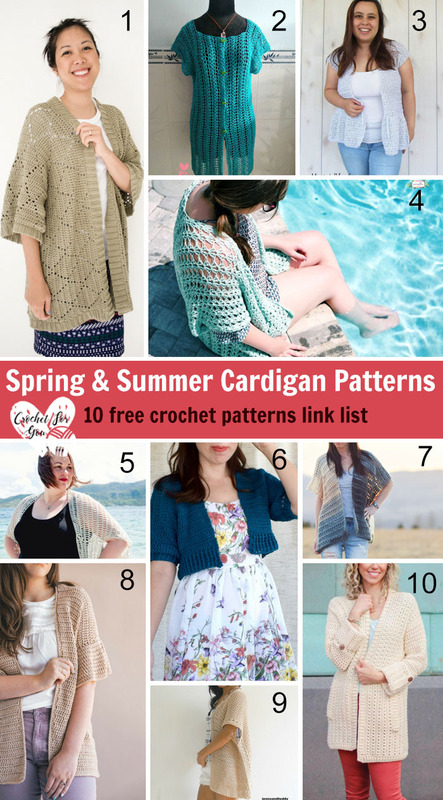 Do not copy, edit, distribute or republish patterns and images on this blog in part or whole as your own. 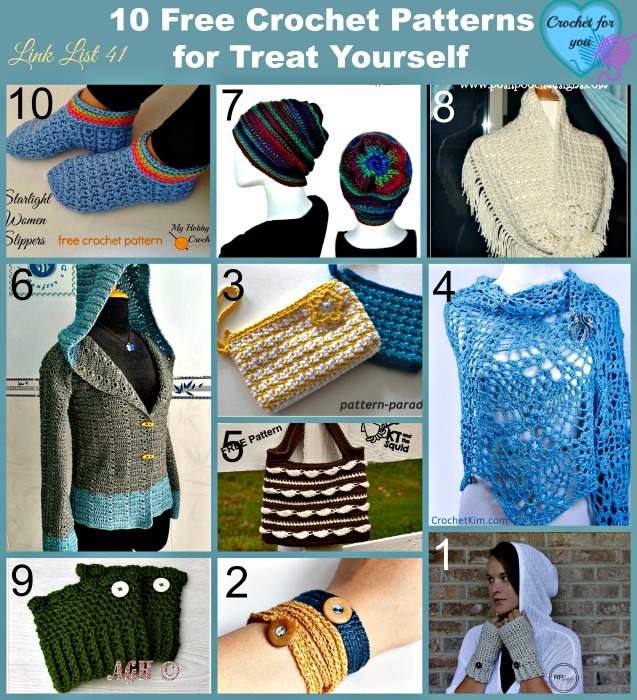 Please, share a direct link to the pattern with others and anywhere else. 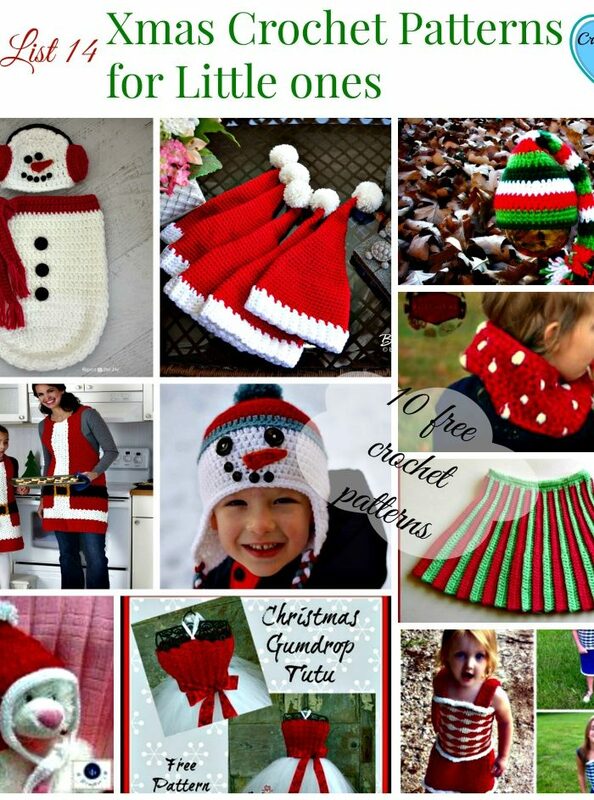 You are welcome to make and sell finished items using my patterns.